As a long weekend Monday would demand, I wanted to expend the least effort possible to go out to breakfast this morning. As I had visited the highly proximal Miss Marmalade yesterday, I thought I might branch out and travel slightly East to Princess Hill, notable for its leafy greenery and graveyard. Fun fact: the bust that sits above the drinking fountain by the cemetery is modelled on a direct ancestor of Baby Chino, who is not the man named on the plaque – that guy was sick at the time of sitting for the sculpture. Nothing like swooping in and getting your mug immortalised in someone else’s name – classic Chino family tactics. Speaking of hijinks, the establishment that we visited this morning was the aptly named Naughty Boy, sitting sheepishly on the cusp of the fun end of Lygon Street, next to Richardson Street. Naughty boy is an airy space that is lit by all manner of quirky hanging lights. Well, two manners; dropping down from logs, and dropping down encased in black milk crates. These gave the place an eclectic, calculatedly haphazard feel that was offset nicely by neat teal tiling adorning the counter and walls. Northern-suburb chic oozed from the exposed brick peeking out from defects in the white concrete walls, with a grimy No Standing sign indicating that the patrons were to be seated, I suppose. One of the walls contained the top half of a head, probably of a ne’er-do-well male child, but I don’t want to make assumptions. Such a collection of things! I feel I am supposed to divine my future from the way that the ingredients have fallen…here goes…my perception is grainy, however it looks like I will be encountering a juicy pear of nuts…oh my, I’d better stop right there and focus on the present/recent past. What a moist plethora of flavour this breakfast was! The cool tartness of the pear mixed sensuously with smoky almonds, while the salty pistachios elevated the cool, sweet apple and yoghurt-soaked oats. Finally, the bitterness of the blood orange was a thoughtful reminder that nothing in life is easy or straightforward, and that breakfast is serious business that should not be wolfed down. It also left my mouth with a slight tannin residue, as if I’d just has a sip of tea but with the added bonus of chewing. The textures here were just as varied and satisfying, with special mention to the pleasure I derived from squishing the pomegranate seeds and popping the small grapes with my teeth and palate. The Naughty Boy muesli was an intimate, visceral experience. 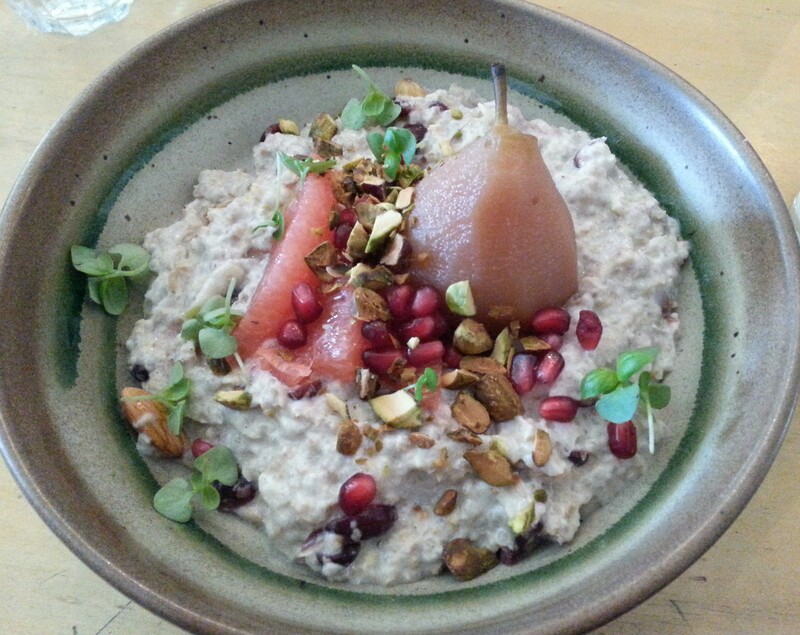 Final word: Visit Naughty Boy and order the muesli. While some disciplinarians might argue that you would be reinforcing bad behaviour, sometimes you’ve got to take a chance on a rogue.